Are you experiencing pain from an auto accident in Seattle? Auto accident treatment is usually offered to those who have suffered a car accident. Three million people each year get injured in motor vehicle accidents (Hickling & Blanchard, 2006). Auto accidents can result in several injuries, some of which have to be immediately checked out and treated. Such injuries may be serious in nature and display symptoms such as neck and back pain, numbness and irritability. Auto accident treatment focuses on providing immediate medical care to the victim so that he or she can recover from his injuries in a short period of time. Seattle Pain Relief accepts personal injury protection (PIP) for treatment, which means the doctors accept liens and accept payment that results when your case is settled. What are the major indicators for having Auto Accident Treatment? People who have suffered a car crash or have been involved in an auto accident should receive medical treatment. Although most auto accidents happen because of speeding, it studies have shown that most of the injuries caused by auto accidents happen at a speed of 12 mph. Whiplash is one of the most common injuries that are suffered by auto accident victims. Thus, if you have suffered a whiplash injury then you are the perfect candidate to receive auto accident treatment, as it is going to help you in recovering from the trauma quickly and in restoring the movement of your injured spine. Fifteen percent of neck pain from whiplash turns into chronic pain, however, if one receives treatment at a top personal injury clinic in Seattle that can be prevented. What does Auto Accident Treatment entail? The auto accident treatment a victim receives depends on the type of injury suffered during the accident. 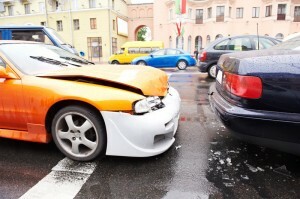 The auto accident treatment varies from injury and injury. For instance, in case of a broken bone or fracture, the treatment involves application of a cast, or performing immediate reconstructive surgery to correct the alignment of the bone or joint that got injured in the accident. In case of a whiplash injury, the focus of the treatment is on alleviating the neck pain that is being experienced by the victim. This may include a combination of pain medication management, muscle relaxers, trigger point injections, physical therapy and chiropractic treatment. What to expect when having Auto Accident Treatment? Auto accident treatment involves all kinds of medical care. You may be given pain medications, and steroid injections for reducing your pain. 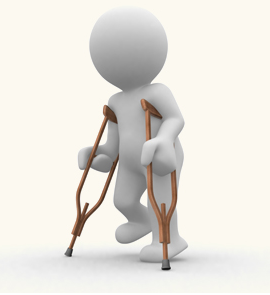 A last resort may entail surgery as well if the accident has resulted in broken bones or ruptured discs. In addition to this, you will most likely receive rehabilitative treatment as well which may include physical therapy sessions and chiropractic treatment. At a top personal injury clinic in Seattle, your treatment will be individualized to produce the best possible outcome and help you avoid surgery. What are the benefits of having Auto Accident Treatment? The most important benefit of auto accident treatment at Seattle Pain Relief is that it will most likely save you from ending up with chronic pain, get you back to work, recreational activities, and playing with your loved ones! 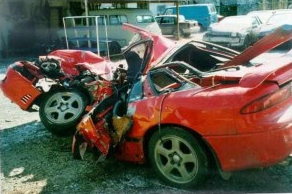 Seattle Pain Relief = Experts in Auto Accident Personal Injury Treatment in Seattle. Call (206) 536-3007 to Get Started Today!